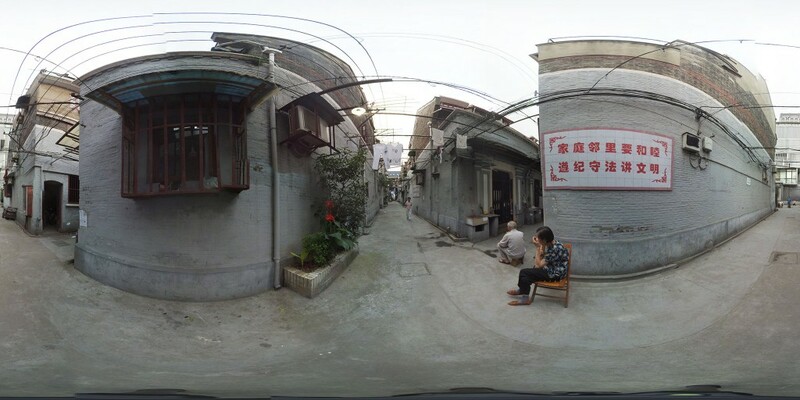 Can virtual reality save Shanghai's cultural heritage? Aunties chattering rapidly in Shanghainese, a man selling fish on a bright blue tarp, another vendor selling live pigeons. Can VR save this? The shikumen (石库门) neighborhood where Lewei Huang grew up is barely recognizable from the digital replica he created half a year ago. Sections of the neighborhood have been reduced to rubble, as bulldozers grind their way through brick walls and 20th century shikumen structures – a fusion of Western and Chinese architecture unique to Shanghai. Mr. Huang’s ‘Cardboard Shikumen’ project is a digital copy of his neighborhood, which was slated for demolition last year. The project was built using WebVR, an experimental API that developers can use to create virtual reality applications in a web browser. This means that Cardboard Shikumen can launch directly in Chrome and be viewed without a VR headset or any special equipment. “[The project] is a technical prototype of a virtual reality presentation software that requires little technical expertise and budget to operate,” explains Mr. Huang. By lowering the cost of producing and consuming virtual reality content, more people can participate in the virtual reality platform,” he says. Cardboard Shikumen feels like Google Street View, except more immersive. To move around, viewers have to click on arrows located throughout the neighborhood. Each frame has a 360 degree view, which can be rotated by moving around the smartphone or clicking and dragging a mouse. The project captures quotidian scenes from his shikumen neighborhood: an old woman resting on a wooden stool, neighbors chatting, lines of laundry drying in the sun. 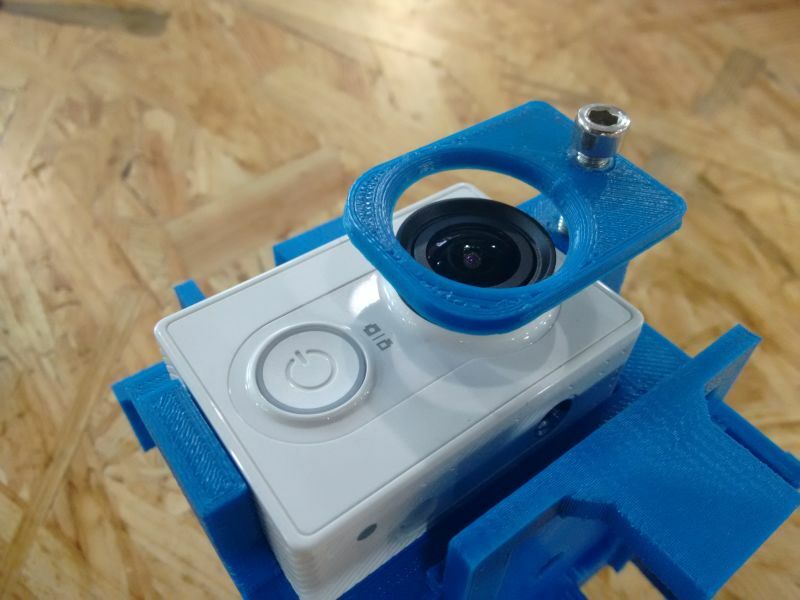 In order to create the scenes inside of Cardboard Shikumen, Mr. Huang rigged his own 360 degree camera using six Xiaomi Yi cameras and a 3D printed case. He walked through his neighborhood and snapped photos of different locations using his custom-made contraption. Afterwards, he used Autopano to stitch the photographs into panoramas, which serve as the content for Cardboard Shikumen. It took Mr. Huang about two months to create the beta version, which he worked on sporadically between May and July of 2015. Once the neighborhood has been completely demolished, he will make another recording of the same route. That way, viewers of Cardboard Shikumen can experience the before-and-after of the shikumen demolition. According to Shanghai’s City Archives, from 1949 to the late 1990’s, shikumen neighborhoods in the Xuhui district decreased from 2.68 to 0.25 million square meters. In Beijing, thousands of traditional hutong neighborhoods have been destroyed to make way for new real estate as well. Virtual reality and 3D modeling technology could be a way to save these cultural artifacts, similar to initiatives outside of China like Project Mosul, which launched last March in an effort to preserve the ancient relics destroyed by ISIS. Still, virtual reality is an imperfect solution for preserving cultural heritage. “No matter how many pictures you take or how visually realistic your model is, you can not replace the original,” says Mr. Huang. From the main road where Mr. Huang’s shikumen neighborhood branches off, there is no sign of demolition yet; a street vendor sells piles of fresh fish off a bright blue tarp on the sidewalk, while another vendor hawks cages of live pigeons. Old women crowd around storefronts and chatter loudly in rapid Shanghainese. This is the standard Shanghai street fare, the kind of daily life Mr. Huang is trying to save with virtual reality. The article Can virtual reality save Shanghai’s cultural heritage? first appeared on Technode. It was written by Eva Xiao.